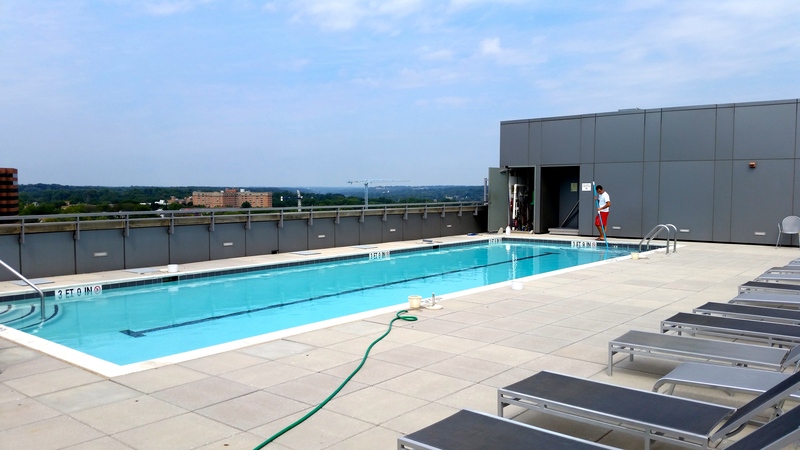 The Odyssey in 2 sentences: The Odyssey is arguably the best combination of luxury, location, amenities, and rooftop view that any Arlington condo has to offer. 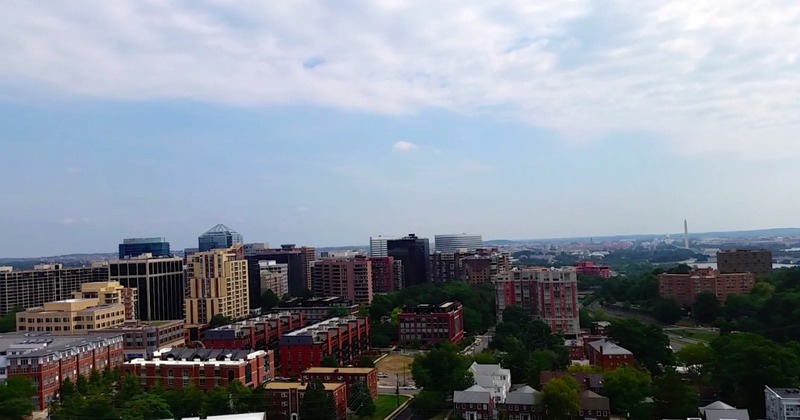 Its curvilinear structure towers over the Courthouse neighborhood as to almost impose its dominance as the most desirable condominium in the area. 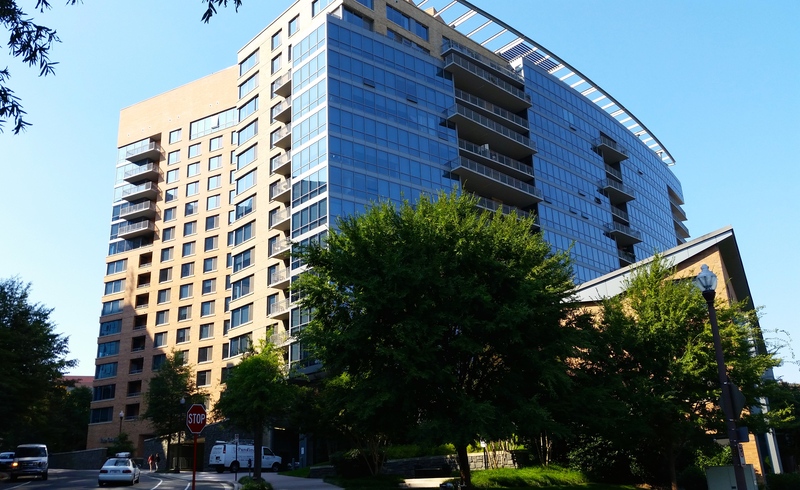 The Odyssey was built in 2006 and is located just a few blocks away from the Courthouse Metro Station. 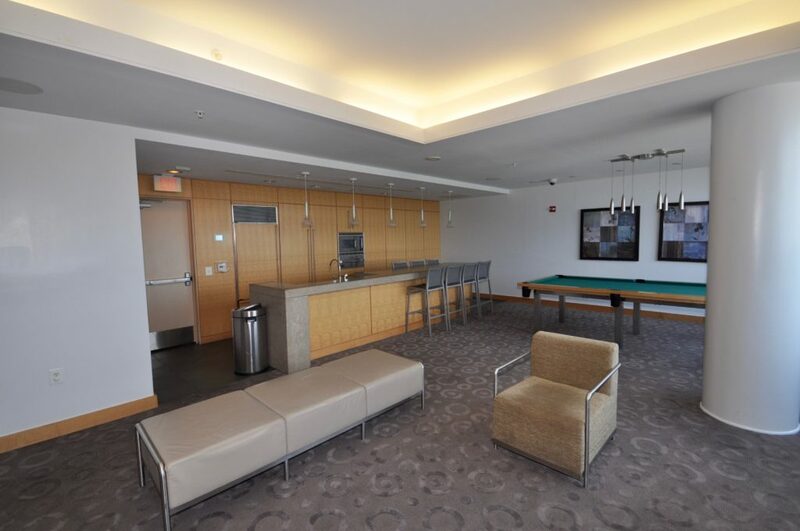 It is bar-none the most luxurious condo in Courthouse and one of the nicest condos in all of Arlington. 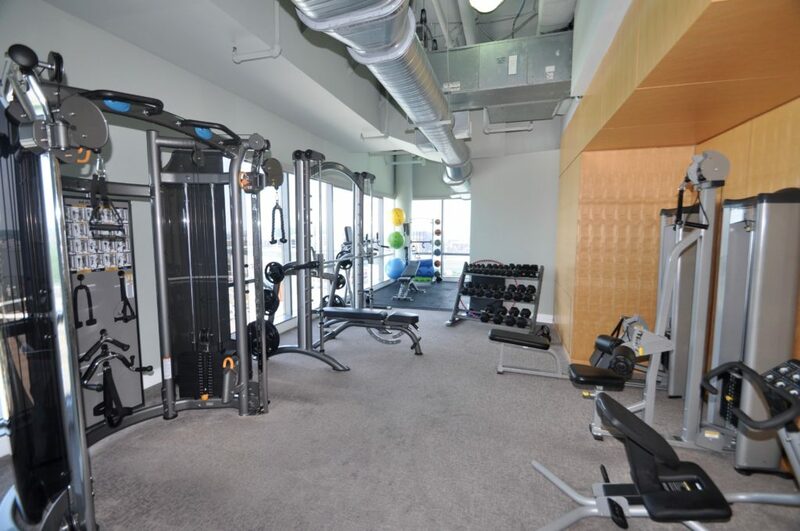 The Odyssey consists of 16 floors of living with ranging floor plans from studios all the way up to 3 bedroom and den residences. 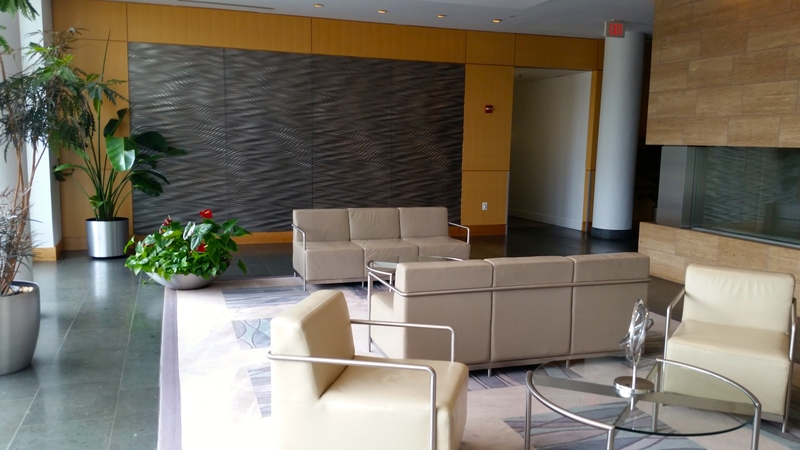 When you walk into the lobby you are greeted by the concierge on your left and a gas fireplace and sitting area in the main part of the lobby. 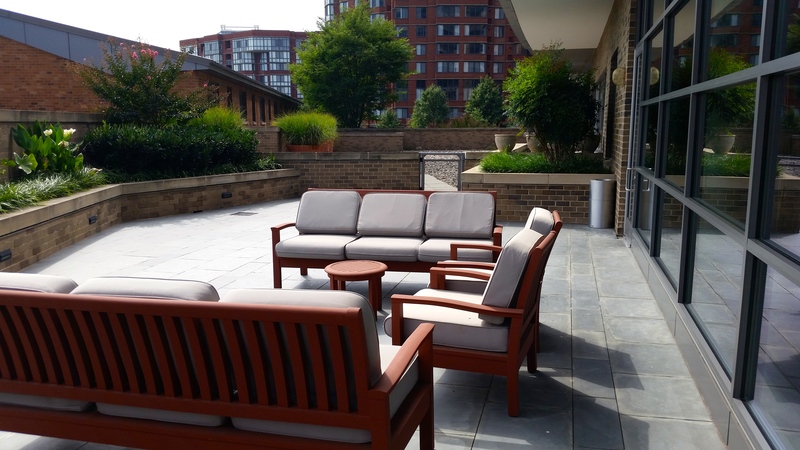 There is also an outdoor terrace area on the main level of The Odyssey. There are three types of living at the community. The first type are The Odyssey townhomes that line North Scott Street. 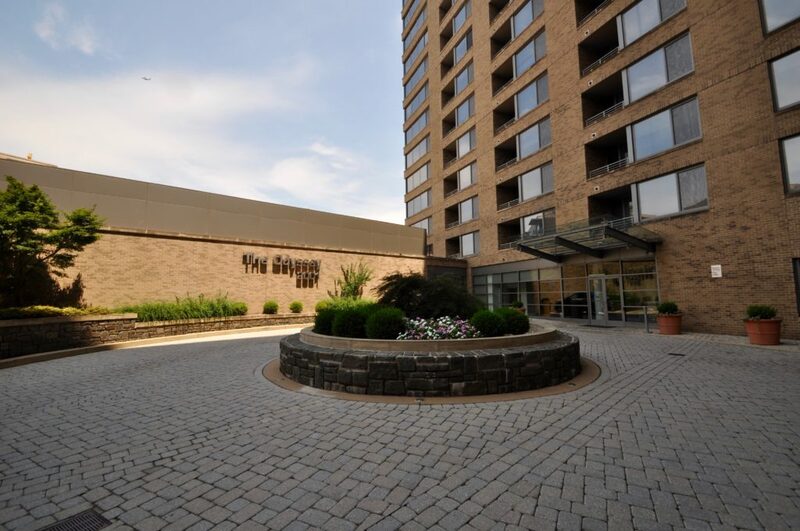 There are only a few of these townhome-style condos so the chance that one is on the market at any given time is low. 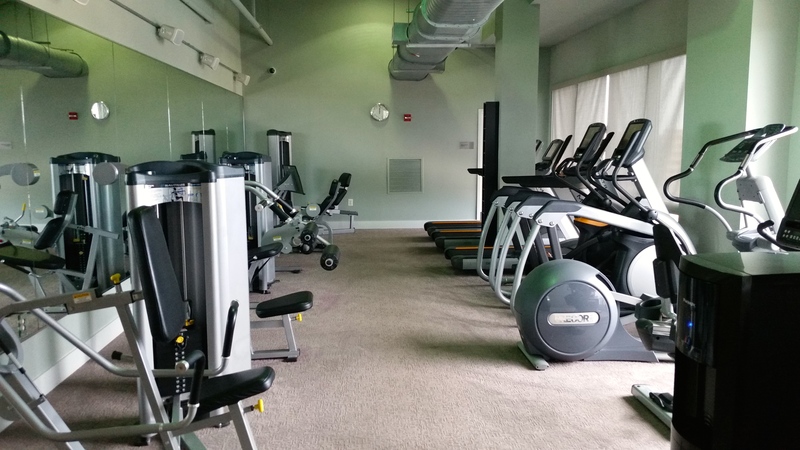 On floors 1-9 there are mostly studio and 1 bedroom floor plans. Units will have hardwood floors and some will have a fireplace and/or balcony. 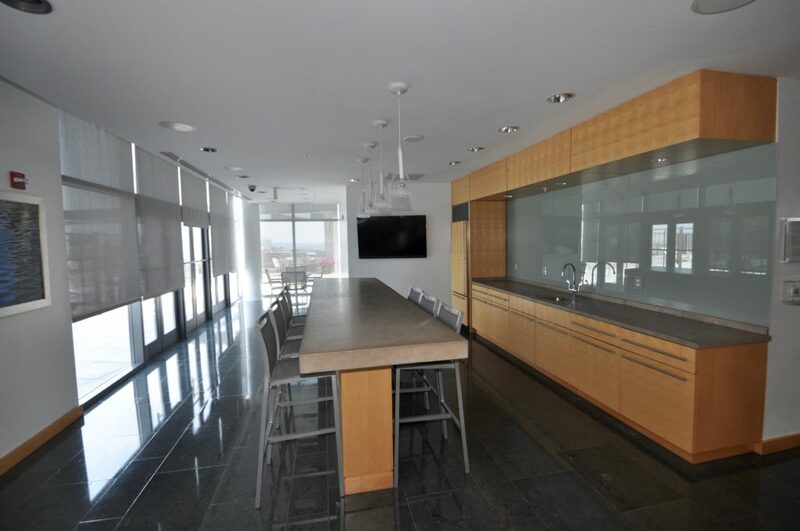 Kitchens will be open, a little on the smaller side, but still providing sufficient cabinet space . 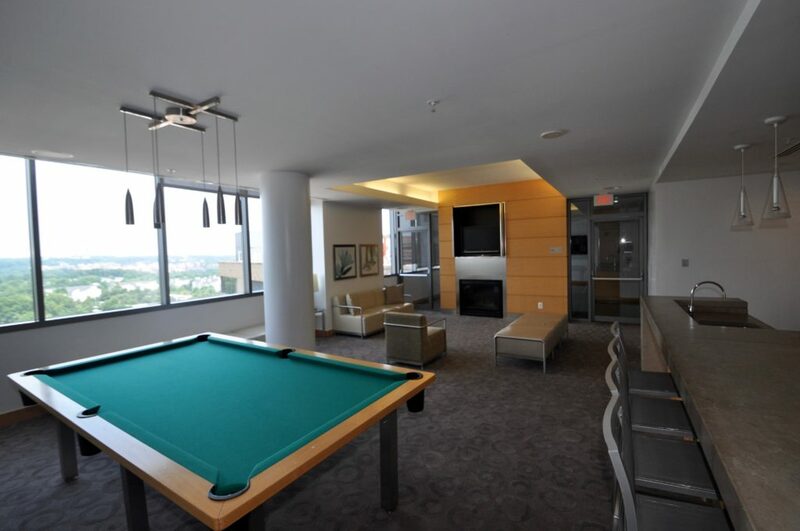 The largest Odyssey floor plans are located on floors 10-16, where you have the Platinum Suites. 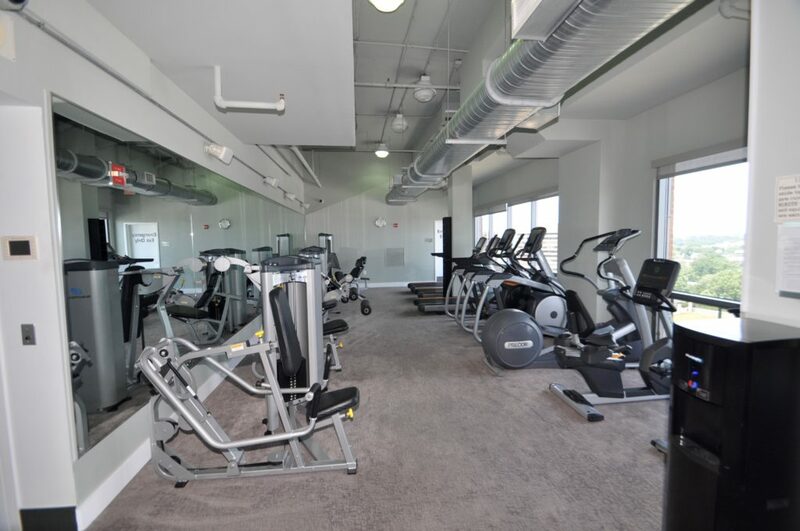 These condos have premium finishes and superior appliances. Certainly the larger floor plans will command a higher price, but once you factor in the D.C.-facing view, you will see the price of condos jump even higher. 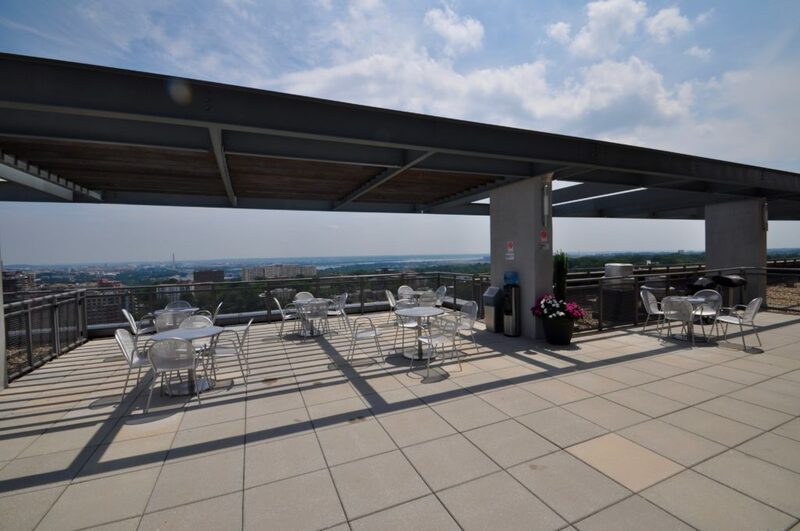 Unobstructed views of Georgetown, The National Cathedral, and upper Northwest DC are always in high demand vault the prices of Platinum Suites into a category all by itself.